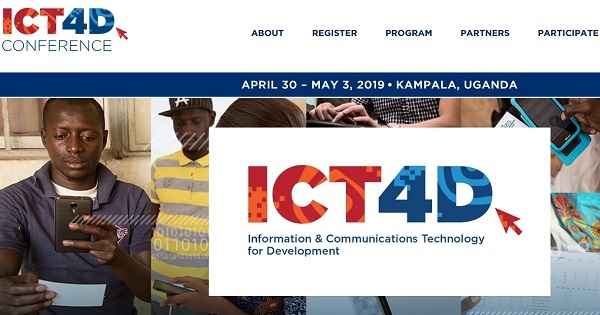 Apply to speak at the 11th ICT4D Conference taking place April 30 – May 3 2019 in Kampala, Uganda. The ICT4D organizing committee is looking for practical case studies and presentations on truly cutting-edge applications and innovation in the use of ICT for Development. Closing date for submissions: November 30 2018. The ICT4D organizing committee encourage you to submit your speaker application via the conference website. Successful applicants will be notified from mid-December 2018. Applications from women, and people with disabilities are particularly welcomed!